Swimming in the Aspe river on a beautiful Summer day! All children and adults that cannot swim must be supervised at all times by their parents or by an adult that can swim. 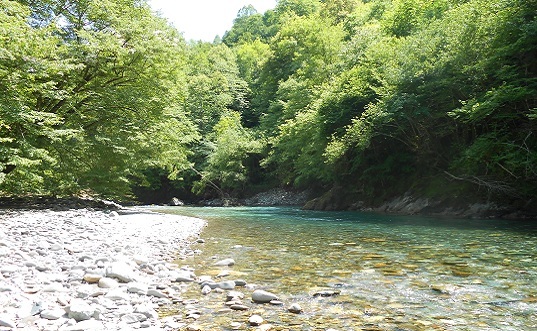 All our guests (B&B and self catering gites) have access to our private river banks along the Aspe river. The river Aspe has pure and clear waters as it is the result of snow melting from the top of the Pyrenees. 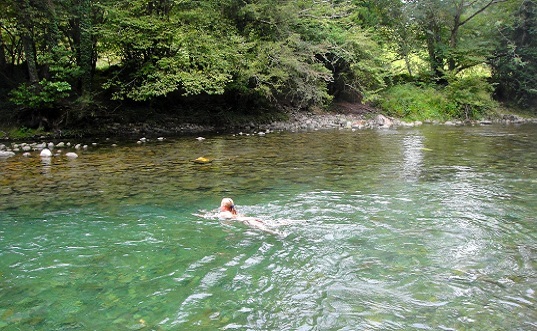 Therefore swimming in the river is most enjoyable in Summer when the temperature of the water reaches 20 degrees. However cooling off by the river can be appreciated all year round, especially after a long hike! Shallow areas with little current will be perfect for families.